Huge price drop... bring in Chip and Joanna or Jonathan and Drew, this one is ready for you!! 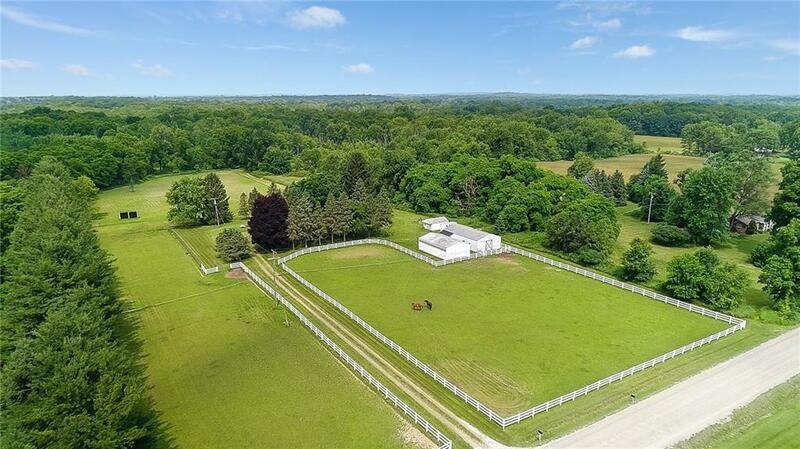 Incredible South Lyon Equestrian Property! Ideally situated on 10 acres, this property boasts a 3 bedroom ranch home along with many amazing equestrian amenities. The home features 1,350 square feet, large kitchen with peninsula and breakfast nook, large living room with pellet insert fireplace, remodeled main bathroom, newer windows, newer a/c, and a huge wide open walk-out basement with Â½ bath, laundry, natural fireplace and tons of potential. The oversized attached garage also includes a heated workshop. Equestrians amenities include: wide open space for riding, horse barn, 2 equipment buildings, 3 large pastures and run-in shed. The horse barn features 4 matted stalls, cement aisle, raised platform for hay storage, tack room and exterior shavings storage. There is a fenced area for dogs and an on demand generator. Great location, just 10 miles to downtown Ann Arbor, 5 miles to US-23.